Dry needling is a therapeutic technique that involves the insertion of a thin filament needle to penetrate skin & stimulate underlying muscles, fascia, & connective tissues. It is used to treat neuromusculoskeletal pain & movement impairments. As a result the patient may experience improved pain control, reduced muscle tension, normalization of biochemical and electrical dysfunction of motor endplates, & facilitation & acceleration of rehabilitation. 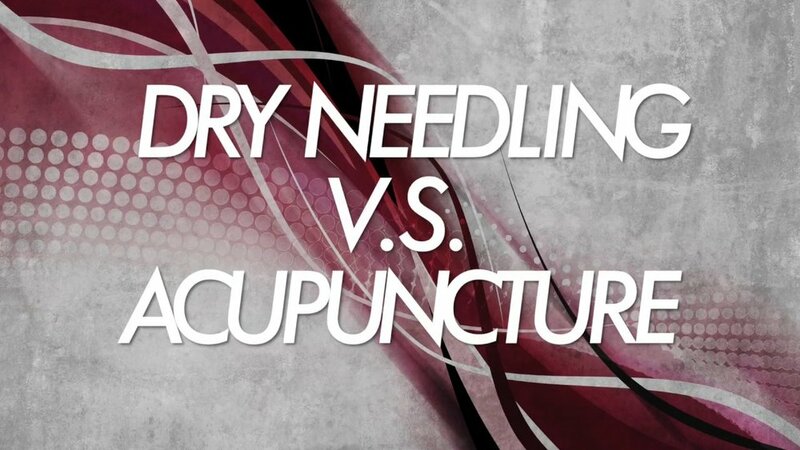 How does dry needling differ? Dry needling is a research backed technique based on Western neuroanatomy & modern scientific study of the musculoskeletal & nervous system. Acupuncture is a practice based on ancient theories and traditional Chinese medicine. Dry needling elicits a local twitch response of the involved muscle causing a rapid depolarization of muscle fibers. As a result electrical activity of the target area subsides, following pain & dysfunction drastically decrease. Whereas, acupuncture does not pierce the muscle tissue nor does it cause a muscle twitch response.